I recognized immediately that Mr. Gerry Murphy’s legendary Humanities class at Wellesley (MA) High School would be different from any other course that I had ever taken as a student when we began breaking down Viktor Frankl’s Man’s Search for Meaning in September 1972. After the well-worn copies had been distributed, Mr. Murphy then explained to us that Viktor Frankl, an Austrian Jew, studied neurology and psychiatry with a focus on depression and suicide years before being arrested and deported by the Nazis in 1942. Dr. Frankl defied odds by lasting three years in a handful of concentration camps including Auschwitz. He ultimately lost his parents, his only sibling, and his beloved wife, who was pregnant at the time. 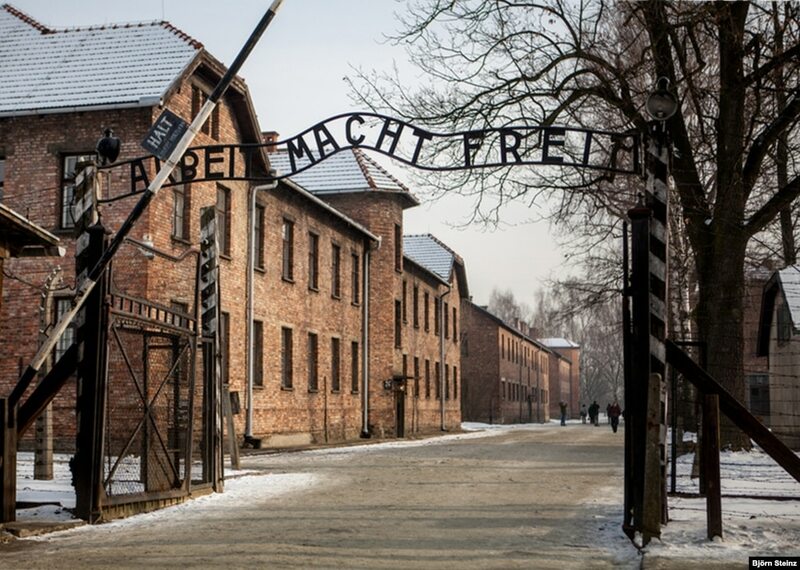 As doctors were in short supply in the camps, Viktor Frankl, after working as a slave laborer for some time, was able to work as a physician in Auschwitz and Buchenwald until his liberation in 1945. For the next year, the author wrote nonstop until he felt that he had crafted the psychological narrative he wanted to publish. In the fall of 1946. Frankl published Man’s Search for Meaning. It remains an enduring bestseller and has never been out-of-print. As his work before the war had focused on depression and the prevention of suicide, Viktor Frankl turned his focus to his own survival story and the people with whom he interacted in the camps before he was liberated. Why did some survive and others perish? What gave people the will to live? And, then the kicker of all questions – what gives life meaning? This all formed the basis of his lifelong work in a new psychological form of analysis, which he called logotherapy. Over the next five weeks in our Humanities class, Mr. Murphy provided a heady mix of antidotes, humor, insight, and grace in order to bring Frankl’s prose alive to the class. Through the framework of both perspective and dialogue, we concluded that Viktor Frankl believed that life was not primarily a quest for pleasure, as Freud held, or a pursuit of power, as Alfred Adler taught, but an enduring quest for the significance of one’s life. One particular morning, our illuminating teacher outlined what Dr. Frankl saw three possible sources for meaning: in work (doing something significant), in love (caring for another person) and in courage (during arduous times). Suffering in and of itself is meaningless; we give our suffering meaning by the way in which we respond to it. As Mr. Murphy saw it, forces beyond your control can take away everything you possess except one thing, your freedom to choose how you will respond to the situation. You cannot control what happens to you in life, but you can always control what you will feel and do about what happens to you. And then he touched upon on even more significant truth: love is the ultimate and the highest goal to which man can aspire. Ultimately, the salvation of humankind is through the prism of unmitigated love. “Does anyone have anything to add?” Gerry Murphy asked us. “Exactly, Mr. Lennon!” Mr. Murphy responded, without blinking an eyelash. Now, more than forty-five years later, and after a lifetime spent on the other side of the desk as a English and history teacher, I believe that the message of Man’s Search for Meaning is one of those narratives that are relevant no matter when you read it, how old you are, or what your circumstances are in life. Ultimately, it is a volume that smacks you right between the eyes. It is also the most influential book I have ever read in my life. As a result of its message, I became a lifelong humanist, someone who at least cares about people on both a concrete and an abstract level. I chose to teach because of the intrinsic value in nurturing and opening doors to discovery but also as a vehicle to openly participate in the give-and-take of human dialogue that forms each day for both teachers and students alike. “In his childhood, the correspondent had been made acquainted with the fact that a soldier of the Legion lay dying in Algiers, but he had never regarded the fact as necessary. Myriads of his school-fellows had informed him of the soldier’s plight, but the dinning had naturally ended by making him perfectly indifferent. He had never considered it his affair that a soldier of the Legion lay dying in Algiers, nor had it appeared to him as a matter for sorrow. It was less to him than breaking of a pencil’s point. After reading Man’s Search for Meaning the first time, I began to consciously ask myself, “Will this be meaningful to me?” If the answer was “no,” I would normally shuck it. Frankl’s message emphasized living as meaningful a life as possible. 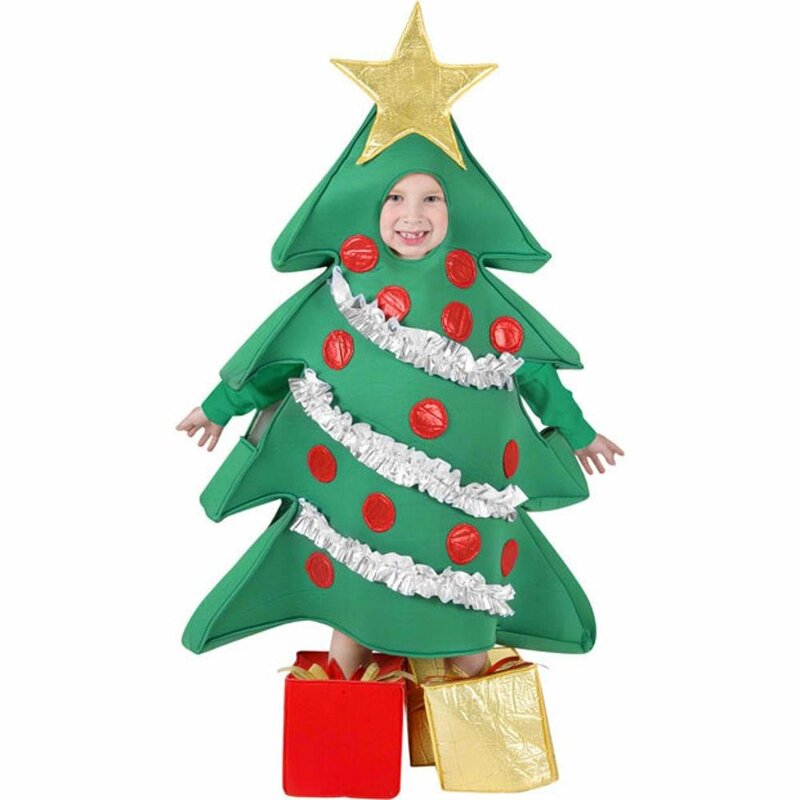 When my intrepid Kindergarten teacher, Mrs. Marshall, cheerfully informed me that I would be “the Christmas Tree” in a child production based on the old German yuletide ballad, “O Tannenbaum,” my eyes lit up like a Broadway light bank. “You mean, Mrs. Marshall that I’m going to be the star?” I unknowingly punned. “In a general way,” she replied with a smile. As the narrator in the play explained, one of the traditions of the people in the town had been to congregate around the most imposing pine tree on Christmas day, where carols were sung, and gifts were presented. For years, the desolate evergreen stood in the dark as everyone danced and sang around the mightier trees. However, on the day before Christmas, when a sudden nor’easter hit the village and its peripheral forest, the villagers were shocked to discover that the one surviving tree in the windstorm was the previously secluded evergreen that had once been the laughing stock of the entire community. Thankfully, one of my peers, a little girl whose nickname was – I swear to God – Buttercup Boles, bellowed, “Oh, Miss Scoboria, Shaunie isn’t the star of the show. Here it is!” She then held up…well, the star in the show – the object we had made in art class that would be placed on my head to conclude the performance. Everything went entirely too smoothly until it came time for me, the previously ignored Christmas tree, to “shine in the light.” Until that time, I had looked appropriately despondent and had kept my arms to my side. Mrs. Marshall smiled broadly at me as the play unfolded, and I knew I was somehow nailing it. However, when it came time to come alive and sprout my arm-branches out, that’s when things began to go asunder. As the townspeople slowly gathered around me, my arms, now stuck out like a crossed railroad crossing, began to increasingly twinge. Within a minute, my limbs, still held like sticks at a ninety-degree angle, commenced to sag with unrelenting pain. The agony in both of my arms increasingly throbbed as I continued to hold both of them out. A minute later my eyes began to roll, and I felt like passing out. Everyone in the audience – and on stage – suddenly looked at me with unyielding alarm. A lifelong mimic, I slowly began to make a series of howling noises like a Nantucket gale, my fierce, ghostly sounds reverberating across the room like a swirling overhead fan. I then swayed my arms and body like a majestic seagull, flapping the pain away. After ten seconds of purposeful bluster, I noticed that the audience was now reduced to sustained laughter, with my wheezing mother leading the charge. My classmates, of course, were horrified, while my teacher, Mrs. Marshall, who had been holding a towel after she had cleaned up some spilled water, buried her head in the cloth and silently laughed herself to tears. While I knew I had precariously gone off script, I was determined to continue blowing and thrashing until the agony in my limbs ceased. Finally, I ceased making gale-like sounds and corresponding arm movements. I then stood as still as a statue. In the crowded classroom, not a creature was stirring, not even a mouse. This remarkable metamorphosis so transfixed my peers that they almost forgot to then shout out in unison, “Merry Christmas, Everyone!” when they had completed encircling me. Needless to say, I received a near-standing ovation when I took my bow very majestically a minute later. The only fallout from my experience as a Christmas tree in my Kindergarten play occurs each holiday season when I inevitably hear the familiar musical refrain, “How lovely are your branches!” on the Sirius Holiday Music Channel. When I do, my arms immediately begin to twitch. On January 20, 1969, Lyndon Johnson left the steps of the Capitol Building after attending the swearing-in ceremony of his successor, Richard Nixon, profoundly dejected and forlorn. “At least I won’t hear kids chanting, ‘Hey, Hey, LBJ – HOW MANY KIDS HAVE YOU KILLED TODAY’ anymore,” he quipped to his longtime aide, Bill Moyers, as they motored to the airport. When the former President arrived at Andrews Air Force Base to fly back to the LBJ Ranch outside of Austin, he was momentarily uplifted when a few hundred Democratic supporters unexpectedly greeted him in front of Air Force I, many of them veterans of the Civil Rights Movement. There was one solitary Republican in the crowd amidst a sea of Democrats who had come to pay respects to former President Johnson as well: then-Congressman George H. W. Bush of Texas. “Good luck and thank you, Mr. President!” George H. W. Bush shouted out to LBJ as they shook hands. Lyndon Johnson never forgot it. It is that kind of decency that we are saying goodbye to this week. 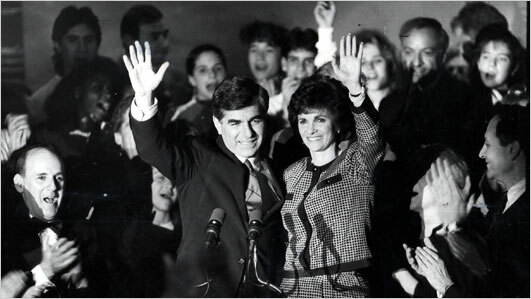 30 years ago this week, my longtime friend, Peter Green, and I were driving to our Harvard graduate school classes when we heard on the radio that Massachusetts Governor Michael Dukakis was about to vote at his local elementary school in nearby Brookline. “Hey, when can we ever see a man running for president vote in that election? Let’s go check it out!” I exclaimed. My buddy, Peter, was all for it. A few weeks previously, another teacher friend, Dave Wall, was driving me to a class when we heard that former President Jimmy Carter was being interviewed by a news reporter from WBZ Channel 4 at the station’s Soldiers Field Road near Harvard. Dave and I veered toward the studio’s front entrance, waited outside, and then greeted ex-President Carter when he exited the building. Dave and I ended up conversing with the nation’s 39th chief executive for more than five minutes until his Secret Service detail reminded Mr. Carter that he had another appointment! Peter Green and I were now in a similar situation. With the same kind of impulsivity that had enabled me to converse with an ex-President, the two of us were now reconnoitering away from Harvard Square to the Longwood section of Brookline. Ten traffic-filled minutes later, we pulled into the driveway of the Amos A. Lawrence Elementary School where a phalanx of satellite trucks was already there covering the event. A minute or so later, the Klieg lights fired up, a gaggle of supporters began to converge, and a string of reporters instantly surrounded the candidate along with the Secret Service. Governor Dukakis and Mrs. Dukakis then strolled out of the school amidst a flurry of people surrounding them. Our impulsiveness in “witnessing” the historical event had now turned into something approaching the surreal. Seconds later, the governor approached us, vigorously shook our hands, and introduced himself to us. “Mike Dukakis from Brookline,” the Governor said to me. “I am a graduate student at Harvard,” I replied. He scratched his head and disappeared. Peter and I were so astounded by the entire experience that we blew off our classes and ended up drinking way too-many-beers at the Cask ‘N Flagon, which overlooks Fenway Park. Thus, if anyone ever asks me, “Have you ever conversed with a presidential candidate just after he or she voted in his or her district on election day?” I can answer in the affirmative. After all, life is what happens to us when we’re making other plans. On the evening before Game 2 of the 1967 World Series, I answered the phone in a huff. A diehard Red Sox fan, my stomach was already churning in anticipation of a most improbable World Series appearance by the 100-1 shot Impossible Dream Red Sox. As fate would have it, on the line was none other than Mr. Dominic DiMaggio, an old friend and former neighbor of ours in Wellesley, Massachusetts. The younger brother of the immortal Joe DiMaggio, Dom had been an all-star center fielder for the Red Sox in his own right – and a very successful businessman in Boston thereafter. 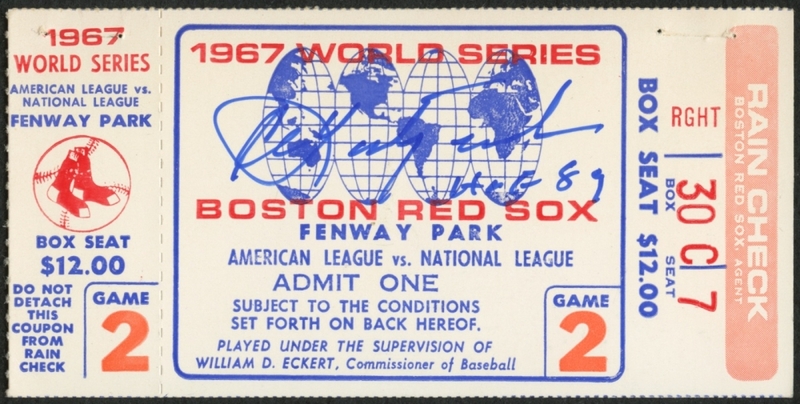 When my father got off the phone, he turned to me and explained that Dom and his wife, Emily, had been bombarded by neighbors and friends for Red Sox tickets to the 1967 World Series. When the couple compared notes, they realized that the only Wellesley people who hadn’t called them were Larry and Laurie Kelly, my parents. Ultimately, that is why the Dimaggios generously offered them two tickets for Game 2 of the ‘67 World Series. Thus, Dad and Mum proudly went to Fenway, sat with Dom and Emily DiMaggio, and saw Yaz hit two home runs and Jim Lonborg pitch what nearly was a perfect game (he gave up a two-out, 8th inning double to Julian Javier)! Ten days after President John F. Kennedy’s burial at Arlington National Cemetery, the Attorney General of the United States, Robert F. Kennedy, made his first public appearance at a local elementary school in Washington, DC. A horde of national and local reporters attended the event, although the press kept a respectful distance from President Kennedy’s grieving younger brother. When the Attorney General entered on a crowded first-grade classroom, a five-year-old boy suddenly raced up to Bob Kennedy and shouted, “Your brother’s been shot! Your brother’s been shot!” At that instant, every adult in the room flinched and then looked downward, too anguished to even see the response of the Attorney General. The little boy, knowing that he had somehow just said something terribly wrong, burst into tears and began sobbing despondently. The Attorney General then asked the first grader to take him to his seat and show him what he had been working on earlier that morning. For the next five minutes, Mr. Kennedy sat next to the little boy, who proudly showed him his arithmetic work as Bobby looked on intently, his arm around the young man’s shoulder. 50 years after his tragic assassination, everyone from Ben Sasse and Joe Scarborough to Kamala Harris and Michael Moore have paid homage to RFK for virtually the same reason: Robert F. Kennedy was the epitome of a politician who possessed an abundance of emotional intelligence. It is why Americans have a lingering fondness for leaders across the political spectrum who had it – Franklin D. Roosevelt and Gerald Ford, Jimmy Carter and Ronald Reagan, Barack Obama and George H. W. Bush. More than any political factor over time, emotional intelligence has served as the great dividing line between good and bad leaders. There are a plethora of candidates who are steeped in emotional intelligence running for office these days. As a voter, it is up to you to vote for them. Psychologist Daniel Goleman popularized the notion of emotional intelligence in a bestselling book 23 years ago. It is, according to the author himself, “being aware that emotions can drive our behavior and impact people – positively and negatively – and learning how to manage those emotions – both our own and others – especially when we are under pressure. When you vote this fall, ask yourself if the candidates you are voting for are true to themselves. Know who they are. Follow the Golden Rule. Take criticism as an opportunity for reflection. Think before they speak. Listen as well as they pontificate. Have the courage to admit that they can be wrong. Possess innate decency. Admit their past mistakes and don’t resort to covering things up, especially if they have hurt others in the past. Are empathetic to the degree that they take the time to walk in the shoes of others. Say “we” and “us” much more readily than “I” or “me.” Have the audacity to change. Possess the courage to stay the course even if is unpopular. Have the fearlessness to forgive, and, just as importantly, have the courage to ask for forgiveness. Possess enough humility to say “I’m sorry” when they are wrong. Have the capacity to keep their commitments. Help others without the expectation that it will be helpful to themselves. Remember the needs of the most vulnerable—children, the infirmed, the disabled, the sick, immigrants, and the elderly. Finally, we need elected officials who embrace the time-honored Cherokee principle, to give dignity to others is above all things. If every American voted for those candidates with the highest emotional intelligence, then our great Republic would enter a more enlightened period of history in which our leaders will make decisions that would benefit the next generation as much, or even more, than their own. It is no accident that the President with the highest emotional intelligence, Abraham Lincoln, also proved to be our greatest. As usual, it is up to you, the voter. After all, the power in this great country of others is derived, thankfully, from We the People. With the Boston Celtics 2018-19 season about to begin, I found myself recently recalling the exploits of the team’s late broadcaster, the legendary Johnny Most, who held forth “high above courtside” from 1953-90. Ultimately, his unyielding, theatrical narrative – an ongoing saga in which the good guys were forever attired in green and white – was “must-listen” radio. His gravelly voice – thanks to smoking a silo full of Camels over the years – was easily the most imitated voice in New England for two generations. A well-seasoned storyteller who was well-read and loquacious, Most was able to describe in excruciating detail the heroic plight of a “warranted championship team” that even malevolent referees and hooligan thugs couldn’t conquer. As one Boston sportswriter once commented, “Johnny didn’t broadcasting a basketball game. He thought he was narrating The Passion Play.” When he died, sports broadcasting homerism in extremis died with him. Unlike the sedan-like quality of such lyrical baseball announcers as Vin Scully, Red Barber, and Ned Martin, Johnny Most’s voice sounded like a car crash at a demolition derby. He would sit, emperor-like, in his haughty perch just below the rickety third balcony at the old Boston Garden, inhaling non-filter after non-filter, creating a minefield of smoke that shrouded him in a perpetually dimming stupor. For more than two hours, Johnny then would inexorably describe the proceedings taking place on the historic, parquet floor below, whining over the inequalities of life even as his team won a gaudy 16 championships in 30 years. Amidst Buick-sized rats, plastic beer cups, and drunken louts, his grating voice and discriminating commentary became a welcomed adhesive for legions of Celtic fans in what might have been the most flourishing Off-Broadway production in history. There were very few critics; nearly every Bostonian seemed to warm to his antics like a warm southerly breeze. An uncompromising original, Johnny Most made even the most irrelevant game in November seem important. In every way, Johnny Most was our Puck to Vin Scully’s Hamlet.